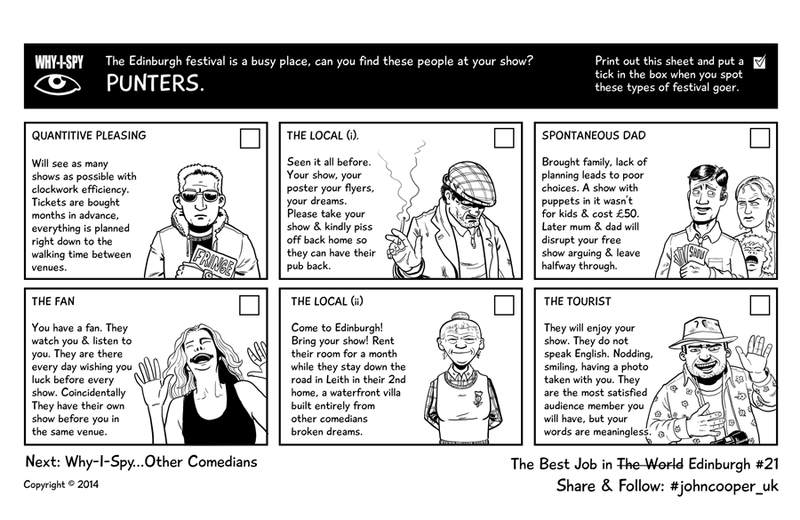 Best Job in the World #21 - Edinburgh Punters | Rocket Steps. The art of communication. What a wonderful place Edinburgh is at festival time. Full of happy people, mad people, money men and meltdowns. This is the 1st in a series for August, ‘Why-I-Spy’. See if you can spot ’em.